I love the 4th of July! Fireworks, BBQ's and festivals. In Vermont different towns start kicking off our independence day this weekend. We saw our first set of fireworks last nice and they were awesome! Next were going to see Burlington's Fireworks over Lake Champlain and then one of our neighboring towns on the 4th. 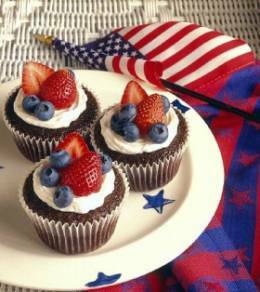 I also found some cute ideas for cupcakes! 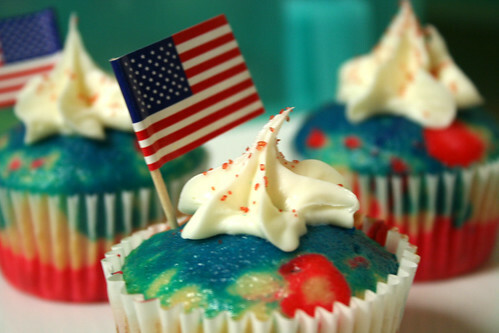 I love using the fruit and frosting for a patriotic feel, don't they look refreshing? 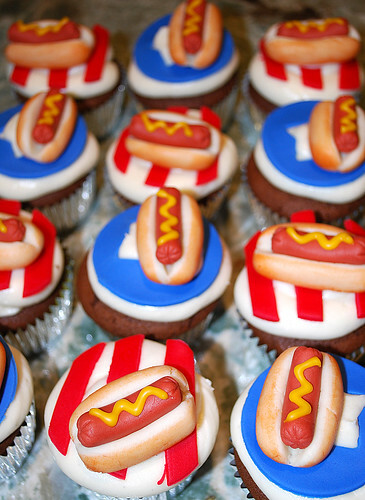 These hot dog cupcakes look so fun!